Summary: Is your bank doing financial modeling? If so, being too conservative can open you up to risks. We share some highlights on this from an FDIC paper. For those readers who like to try different things when speaking to Amazon's Alexa, you might be interested to note that the voice assistant can now make donations to charity for you. 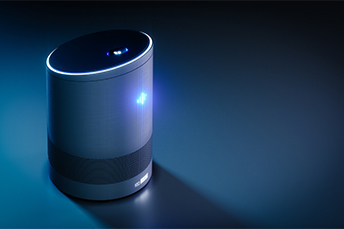 Since bankers are always interested in things that could impact their business, monitoring what is going on with voice/digital assistants makes sense too. When it comes to making business decisions, financial modeling is yet another smart thing community bankers can do to stay on top of things. After all, models have limits and thus create risks for bankers. As a result, investing in sound risk modeling can be as important as the investment in creating or buying the model. It may sound counterintuitive, but one of the ways banks can go astray in model risk management is by being too conservative. The FDIC explained the problem in a recent paper, Supervisory Guidance on Model Risk Management. One way to try to control model risk is by using and applying models conservatively. That course of action in general is healthy, but model risk management can be complicated. As such, a seemingly conservative approach may in fact increase risks. Modeling seeks to project into the future based on current and known data and inputs. Since predicting the future is a tricky business, a broadly conservative approach to model risk might simply call for not being too reliant on models and placing more or equal weight on other hard information in the decision process. The idea is that by not giving too much weight to models, the modeling error risk could be reduced. That sounds like a sensible approach, but it fails to take into account the importance of a particular model or its accuracy. A bank trying to be conservative that doesn't give enough weight to a critical model reduces the model's ability to help guide the bank to better decisions. As a result, this type of conservative approach to model risk might expose a bank to more risk by increasing the chance of expensive mistakes. Another area where a conservative approach can cause problems is in the maintenance of models over time. Since situations change, models need to be monitored, modified and updated for accuracy. A conservative approach to model risk might call for making only modest changes to models over time. The idea is that this is a way of mitigating the risk of making big, potentially incorrect alterations. However, if situations change dramatically, models need to be adjusted accordingly. Yet another approach to model risk that is tagged as conservative is to increase the capital cushion against potential losses resulting from model errors. Here, the issue is that increasing capital reserves could lull a bank into thinking it has adequate protection from model risk, and that feeling of security can lead to a bank being less willing to spend on monitoring, updating and managing models. Banks that take a conservative approach to lending and credit are generally held up as examples of proper conduct. However, when it comes to model risk, doing so can be anything but. If your bank has a conservative culture, remember to give your model the appropriate weight for effective decision-making, adjust your model appropriately over time, and ensure your capital cushion is the right one. Speaking the same language clearly at your bank around model risk is critical to success. Households with $150k+ in income make up 52% of the total income in the US but will pay about 87% of income taxes in 2018 vs. 84% last year. JPMorgan Chase CEO Jamie Dimon said in his annual letter that it is reasonable to expect the 10Y Treasury yield to be 4% with normal growth and inflation nearing 2%. He indicated that if inflation and wages grow faster than expected that the Fed may have to take more drastic action than they currently anticipate. He warned that people could be underestimating the chances that the Fed will have to raise rates faster and higher. He said the current 10Y yield closer to 3% is likely due to ongoing large purchases of Treasuries by the Fed, which is going to decline. The Wall Street Journal reports bank loans made to nonbank financial firms that in turn originate subprime auto loans has climbed 600% since 2010 to almost $345B. The Comptroller of the Currency said at an ICBA event that he will propose ideas to FinCEN in the coming weeks to make BSA/AML rules more flexible and less onerous for banks. Fed Governor Brainard said she sees financial risks to the economy currently as moderate, but warned asset prices have become elevated relative to historical levels. Bank Director's 2018 Risk Survey finds senior bank executives report the following areas where their underwriting standards have loosened in the past 2Ys: Pricing (100%); Loan terms (86%); Maximum loan size (29%) and Loan-to-Value ratio (29%).